Can good manners ¨run out of style”? As a native English speaker and teacher living in Spain I am often told that we English speakers say ¨please¨ and ¨thank you¨ too much. I answer by saying that it is better to say these things too much than not at all. I often point out that I find it so disappointing and frankly,maddening, when I hear how children usually make requests here in Spain. The ¨requests¨ can often begin with an ¨Oye¨ ,which means ¨hey¨. This ¨hey¨is normally accompanied by a very loud or even screechy voice. This alone instantaneously makes my skin crawl because my name is not ¨hey¨and I hate shouting. (If you don´t respond immediately, the voice just gets louder) .The ¨hey¨is usually followed by the phrase ¨I want ……¨ And that is that. The other way children make known that they want something is by making statements. For example, Paco does not have a pencil so he comes up to me and says, ¨I don´t have a pencil¨and he will expect me to give it to him. Conversation over. When I give people these examples of what I can only call blatant rudeness, I am often told that these are cultural differences. That is where I draw the line. No!! That is not possible because I married a Spanish man and he does not speak this way nor does his family or do his friends. 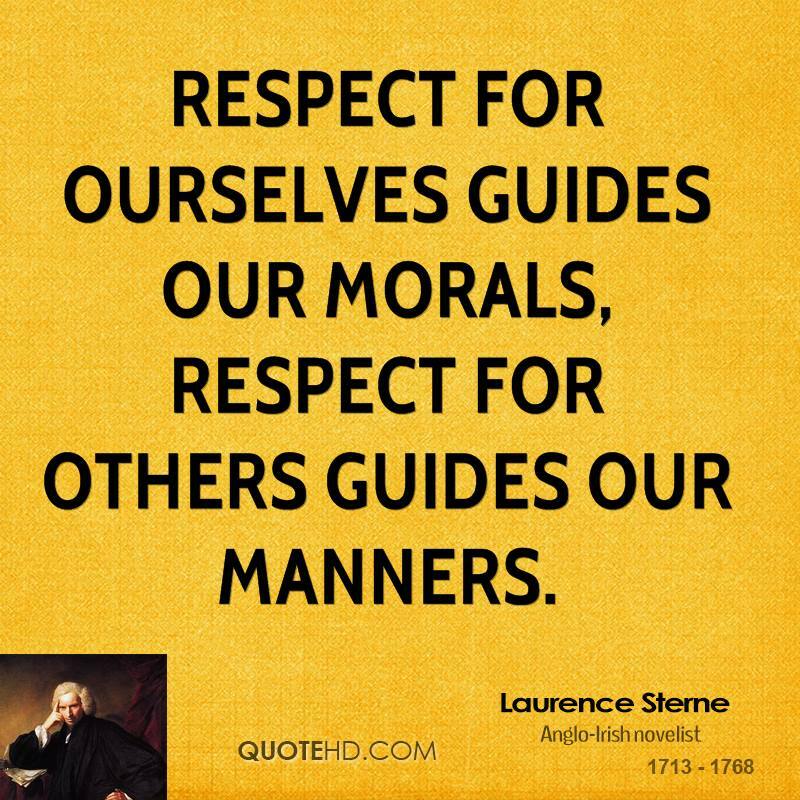 It seems to me that the generation of adults having children today have lost sight of the importance of good manners. I am not saying all of them, but yes, many. I work in a school that is focused on the children learning English as well as Spanish. Parents have this dream of their children becoming bilingual (though most don´t know much English or have any real desire to learn it themselves) and spend a good amount of money for this to be achieved. They want their children to be well rounded and ready for the future that awaits them. 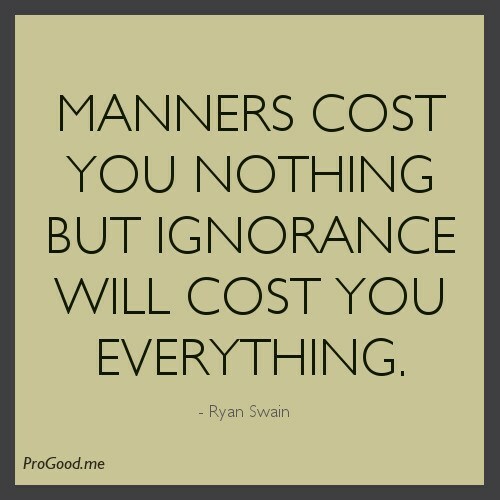 But unfortunately, good manners seem to be disregarded as a means of educating a person fully. I do what I can to teach the children that politeness and kindness is fundamental in my classroom. One day I asked my students, who are only 6 and 7, ¨Which is more important, learning English or learning how to be a good and kind person?¨The students answered that English is more important. I told them that although English is important, being a good and kind person is more important because no matter what language you speak, if you are cruel, rude or unkind, nobody will want to be your friend. The students were shocked that I told them that but it made a difference in their attitude towards each other. The trend is for children to learn so much and yes, their opportunities have increased in many ways, but since when did good manners become unnecessary? Keep up the good work! That’s a valuable lesson for those of us influencing children everywhere. This is really interesting that you should write this, as, I have had numerous experiences where I have found Spanish teenagers and tourists extremely rude, but I put this down to as you say ‘cultural differences’. They conduct extremely loud conversations on the metro, shouting across people who are trying to read (usually books! YES they do still exist ad are alive and kicking in Paris), which I just thought was normal for them in their country, so accept this. But other examples have been on a guided tour, where information was given in French, English, German and Spanish – all the other nationals were quiet whilst the guide spoke in the other languages, except the Spaniards, who listened to the Spanish they didn’t give two hoots if the rest of us could hear or not, but the worse was the total lack of respect in religious places (which shocked and surprised me) notably in the wondrous ‘Saint Chapel’ where silence is requested to allow visitors to appreciate the very special atmosphere and respect that this is a place of worship where they blatantly talked, laughed, took (forbidden) photographs and just spoilt what should have been a very spiritual experience. On all occasions I have given them the benefit of the doubt, but tis has thrown a different light on things. Thanks for posting. Thanks so much for the post, it is well appreciated, even here in stodgy old New England, USA! I always associated ‘yelling’ with people from “the city” (NYC) or perhaps it’s immediate suburbs. But I see, hear and witness ‘demanding’ youth more and more everyday. I think your most key point here about being ‘good and kind’ and that being a revelation for these children speaks volumes and reaches far beyond Spain’s youth. I think many children, in fact all ages, are really so unaware much their behavior can affect their own and the greater world. Whether the question is about having friends or making the world a better place, it really can and does begin with individuals small acts of kindness, small steps in sharing and small group movements. Brava! for making a difference in their lives! Three cheers for a mom who rocks! Seriously? 4? Wow you must be a saint hahahaha!